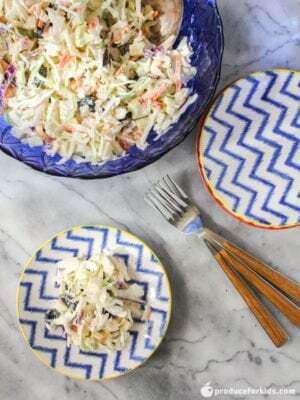 Coleslaw is a dish that is always on the table during the summertime. This Apple & Dried Cherry Coleslaw is made with Greek yogurt instead of mayo and is lightly sweetened with a bit of honey. 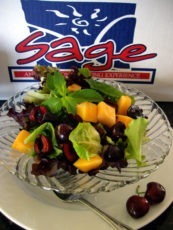 It’s full of fresh apple pieces and dried cherries, and pairs perfectly with just about anything. Not to mention it takes just minutes to prepare! Recipe and photography courtesy of Sarah of The Chef Next Door. Coleslaw is a dish that is always on the table during the summertime. 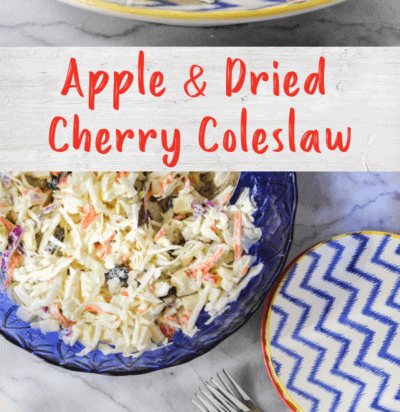 This Apple & Dried Cherry Coleslaw is made with Greek yogurt instead of mayo and is lightly sweetened with a bit of honey. It's full of fresh apple pieces and dried cherries, and pairs perfectly with just about anything. Not to mention it takes just minutes to prepare! 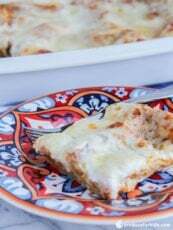 Recipe and photography courtesy of Sarah of The Chef Next Door. 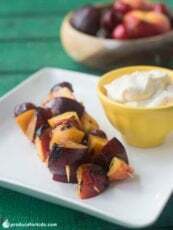 Whisk together yogurt and honey in large bowl until combined. Add coleslaw mix, apple and dried cherries. Mix well.